The Mercedes-Benz GLC takes safety to new heights with a revolutionary formula that combines radar, cameras, and sensor networks with more traditional systems like comprehensive airbags and smart body design to keep you and your passengers as safe as can be while you’re on the move. 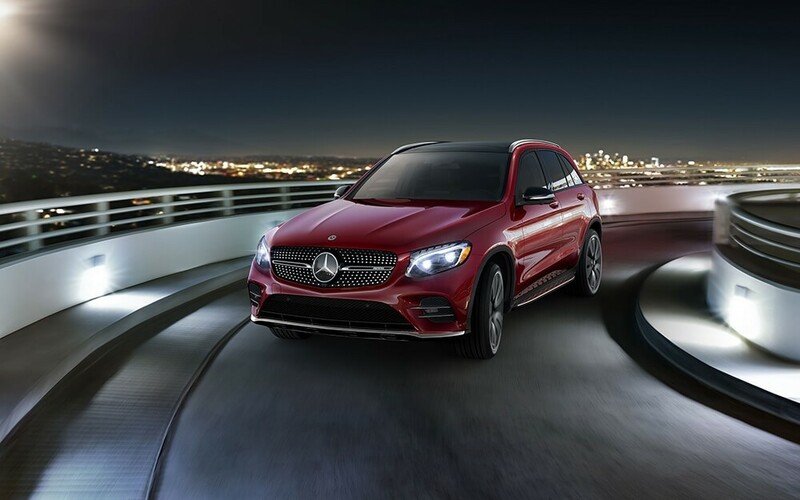 Read on to discover how each of these systems works together to give you unparalleled safety on the road and how you can test drive the Mercedes-Benz GLC SUV today at Mercedes-Benz of Palm Springs. We hope you’ll come see us today! LED daytime running lights have been demonstrated to deliver superior safety during the day. By enhancing your vehicle’s visibility on the road, you’ll help other drivers to spot you and ensure they keep a safe distance. PRESAFE® can detect instability when you’re driving to identify if a collision or rollover is imminent. In the event that an imminent accident is predicted, the system will spring into action and tighten the front seat belts, close windows and the sunroof, and adjust the front passenger seat to help you brace. If no accident occurs, the system will return to its default state and send you on your way. If you lift off the accelerator quickly, the Predictive Brake Priming will set the pads closer to the discs to help you have a quicker response when you apply the brakes. In wet conditions, Automatic Brake Drying helps to sweep water from the discs to give you maximum control. When you shift into reverse mode, a 180-degree camera will display what’s behind the GLC. You’ll also have on-screen guidelines to help you determine your predicted path as you back up. See the Mercedes-Benz GLC in action today at Mercedes-Benz of Palm Springs. We offer our valued clients top-notch financing options that help you to afford the right Mercedes-Benz vehicle for your needs. Contact us today to learn more about the GLC and to take it for a test drive at the dealership today!